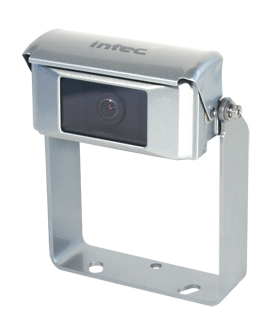 INTEC’s CVC470SHXL Extended Life Mobile Safety Camera offers a wide field of view in a compact design. A durable, multi-sealed, alloy enclosure guarantees watertight performance for your most demanding applications. The Mil-spec circular connector insures a tight, positive connection for years of worry-free operation. The internal thermostatically controlled heater aids visibility in colder climates and the automatic shutter will keep the glass free from dirt, frost, etc. when not in use. The CVC470SHXL features an IP68 waterproof rating, and is backed by an industry leading, eight-year warranty. Resistant to extremes in moisture, vibration and temperature, the XL camera series is the perfect choice for any harsh environment.